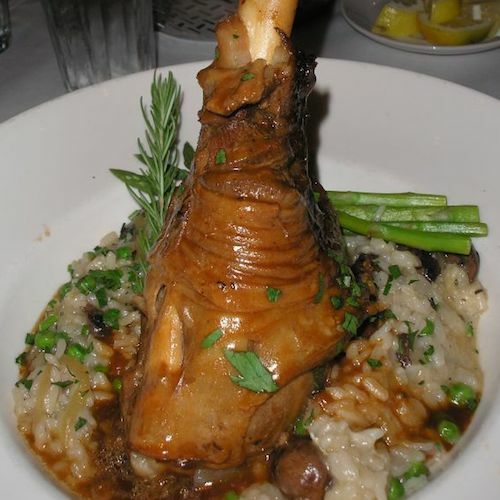 From The Kitchen: Roasted Lamb Shanks | Stahancyk, Kent & Hook P.C. Lamb shanks can be thought of as a bit of a treat, but by using this easy-to-follow recipe you can enjoy them any time you want! Combine the butter, rosemary, and thyme and mix into a paste. Let the paste chill. Next, place each lamb shank in the center of an eight-by-eight inch piece of tin foil, surrounding with the diced carrot and chopped onion. Sprinkle with salt and pepper. Using a knife, make a medium-sized slit into the lamb shank against the bone and place the butter into the opening. Fold up all sides of the foil, creating a pouch. Pour three ounces of wine into each pouch and tie closed with butcher’s twine. Place in a casserole dish and roast for two to three hours or until very tender. Serve with roasted potatoes and garden greens. Enjoy!